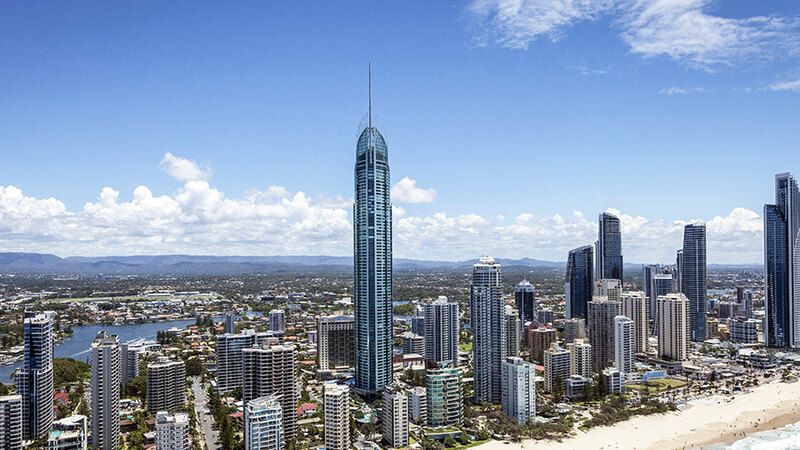 The Q1 Tower is an icon on the Gold Coast, an Olympic-torch inspired sentinel of glass and steel rising 322.5 metres above the streets of Surfers Paradise. When it officially opened back in 2005, it briefly held the title of the ‘world’s tallest residential tower’. Though it’s since slipped back to sixth place globally, it remains the tallest building in Australia. 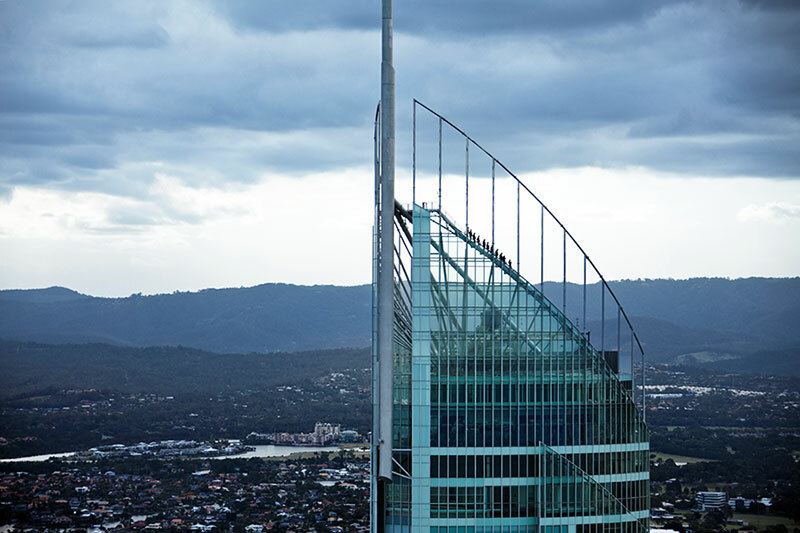 SkyPoint Observation Deck on level 77 of the Q1 Tower offers impressive views of the whole region, from Brisbane in the north right down to Tweed in the south, but the view from the rooftop takes things to the next level – and the only way to see it is on the SkyPoint Climb. After years of looking up from the base of the tower, wondering whether the view from the top was worth it, the stars finally aligned, and we had a chance to do the climb at sunrise. Though the day started obscenely early with a 4am wakeup, it was nothing a few double shots couldn’t fix. Once we’d donned the grey climbing suits and harnesses, and taken part in the safety briefing on what to expect on the walk, it was into the fast-lift to level 77. From here, our climbing group of nine clustered into an airlock and attached our harnesses to the safety rail, then ventured out onto the steel walkway to venture around the rooftop. 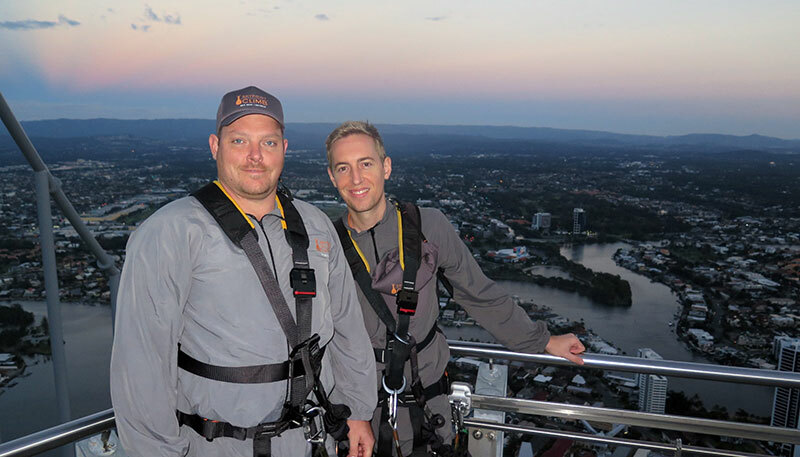 Once outside, 270m above the ground, we were greeted with incredible 360-degree views. 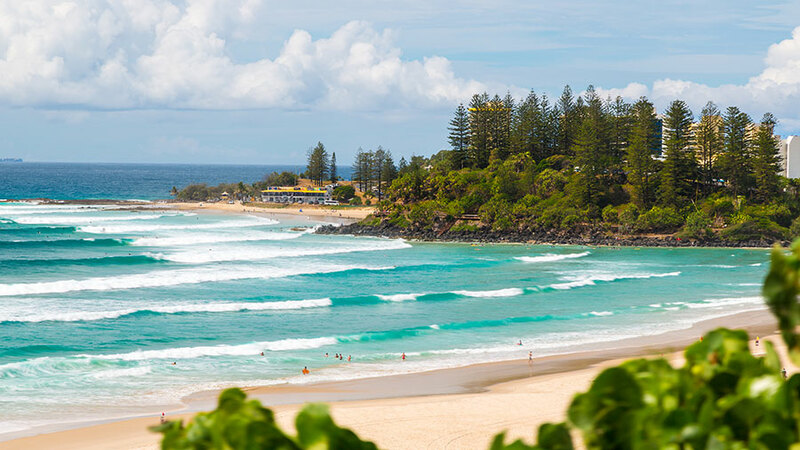 At this early hour, with the lights of the Gold Coast still twinkling like stars, it was a magical experience to witness the sun rise and slowly illuminate from the surf to the hinterland. 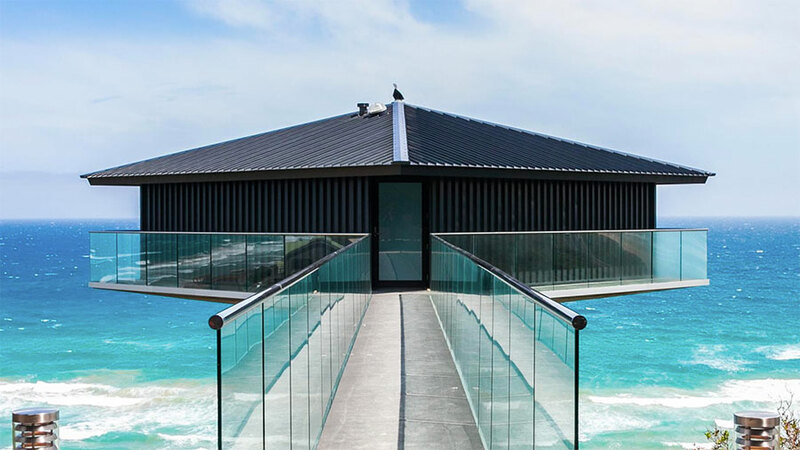 I’d go as far to call it the best view on the Gold Coast. Our guide provided a bit of background about the region and how it came to be the tourist mecca it is today, plus gave a little encouragement to those who were feeling nervous. He also doubled as the photographer, as you’re unable to take personal cameras with you. There were a couple of step-out sections along the walkway to give visitors a chance to peer over the edge of the building and feel the surge of wind up the side, plus a photo-op at the top where you can lean back into the harness and feel like you’re hanging over the edge. 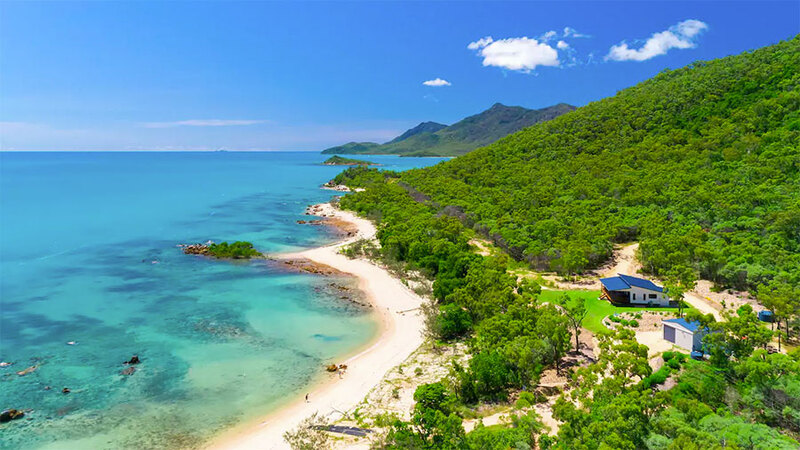 Calling the experience a ‘climb’ is a little exaggerated, however a reasonable level of fitness is needed to tackle the 280 steps around the top, plus two mid-length step ladders. It’s not overly difficult, and it’s all done at a relaxed pace that gives ample time to enjoy the view. All up we were outside for around 30 minutes, which actually felt just about right. 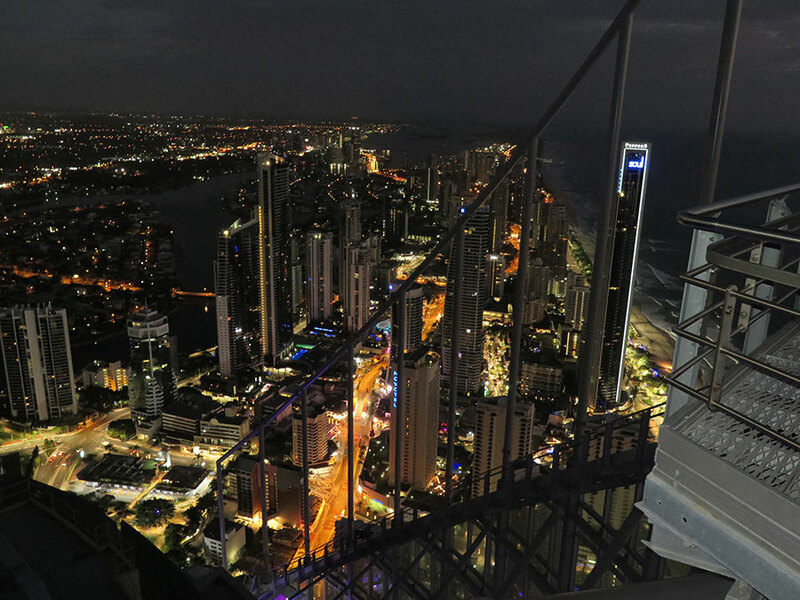 Seeing the Gold Coast from above has given us a whole new perspective on the region. It’s one thing to see the city from ground level, but from this height, seeing the expanse of canals and streets stretching out before you, you realise just how impressive it is. – We visited as guests of SkyPoint.